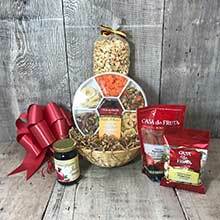 A special gift basket for any occasion. Roasted & Salted Pistachios 3 oz. Net Wt. 42 oz. Ship Wt. 5 lb.